This article was originally published on the Endeavour College of Natural Health website // View the original article here or the PR capture here. 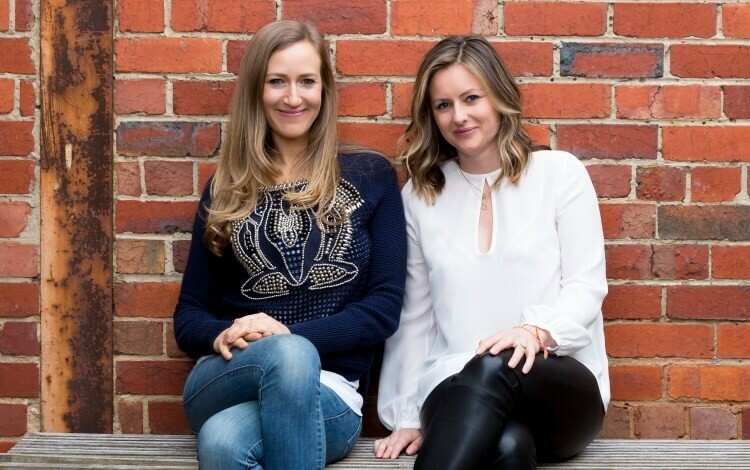 After feeling underwhelmed by the holistic health festivals she’d attended across the world over the years, nutritionist Briony Goldsmith hatched a plan to create a spiritual festival unlike anything Melbourne had ever seen before. We asked Briony to take us behind the scenes of her upcoming Soul Star Spring Festival. I craved an experience more beautiful and whole than the spiritual festivals and conferences I’d been to. One thing that always stuck with me was that they didn’t seem truly cohesive, holistic or genuine. I couldn’t find anything nourishing to eat, and there was nothing to keep me engaged between presentations or speeches. I wanted to create an event to reflect the beauty and abundance of spirituality I felt was missing. It is set to be one magical evening full of passion, authenticity and fun. We’re bringing together three inspiring world-class mentors, a bohemian twilight fair, and healthy food trucks offering everything from kombucha to paleo waffles. Guests will have the opportunity to experience healing sessions, psychic readings, massage, kinesiology and more. Every person we’ve involved is completely committed to holistic health and spiritual development – it’s what ties us all together. The idea behind the Soul Star Festival came from a conversation with a physic medium. I was speaking with her off air when I was hosting the Simply Wellbeing radio show in Melbourne, and she ended up channelling that my soul purpose was to put festivals like this on. That same physic channel (Kate Williams) will have a stall at the festival, and it’s really special to have her involved. My time as a radio announcer has helped the festival come together in a huge way. I got to speak with so many amazing people over that period, and it really prepared and inspired me for this experience. It also gave me incredible connections to lean on to bring the event to life. It wasn’t until this experience that I really knew I was on the right track with my career. It’s taken me reaching my thirties to realise what I want to do with my life. Health has always been my passion since studying nutrition at Endeavour, but I wanted to incorporate my journey with spirituality too, and this is my answer. Getting YouTube sensation JP Sears on board was a huge rush. We all know him from his comedy videos, but he is also an accomplished emotional healing coach with a heap of heart. I approached him after seeing him speak at Byron Bay with the idea of headlining the festival and was so excited when he agreed. We’re excited to have some male energy amongst the speakers to remind people that spirituality is not just a feminine process. I couldn’t have come this far without my business partner Lauren Watson. I’ve known Lauren for 20 years since we met at school. As a kinesiologist with her own events company, I thought she was the perfect person to get the idea off the ground. We both bring such different strengths and qualities to the partnership. I have the big ideas, creativity and dreams and Lauren has the vision to take ideas and bring them to life and the business experience to bring it all together. Our friendship has thrived over this period and we work as a real team. My ultimate dream is to launch Soul Star Festivals around Australia. Once the first event is over we will put our heads together and figure out where to next. Once we have gotten the formula right we will go for it – what a dream come true. I’d like to start a Soul Star festival in Texas spring of 2018 at my place. 30 acres and large home in central Texas. Would you consider sharing any learning experience or and advice.